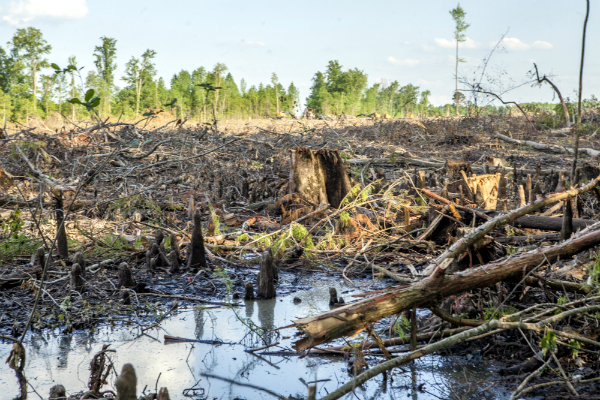 12th April 2019 – The Global Forest Coalition , which brings together 99 NGOs and Indigenous People’s Organisations from 64 countries, and Dogwood Alliance , a conservation NGO working to protect forests and communities in the southern US, have teamed up with local residents’ groups Duurzaam Dorp Diemen  and FossilFree Amsterdam  to oppose Nuon’s plans for a biomass plant in Diemen. Diemen residents are deeply concerned about the impact which such a plant would have on air quality – already poor because of high levels of road traffic and emissions from shipping – and thereby on public health. They also share the concerns of the Global Forest Coalition and Dogwood Alliance that Nuon’s planned biomass plant will put yet more pressure on forest ecosystems and increase CO2 emissions at a time when climate science shows that carbon emissions must be rapidly reduced if we want to have any hope of keeping global warming to within 1.5 or even 2 degrees. Duurzaam Dorp Diemen previously requested information about Nuon’s plans for sourcing wood pellets, and was told that they had not decided yet where exactly they would obtain the pellets. Global Forest Coalition, Dogwood Alliance, Fossil Free Amsterdam and the residents’ group – all of which have submitted objections to the planning proposal – believe that the sourcing of biomass and its compatibility with climate and environmental policies objectives can and must be fully considered during the planning process. The groups further point to scientific evidence – including an Open Letter signed by 800 scientists – that cutting down trees for energy always worsens climate change, regardless of logging practices. A recent study shows that even burning forest residues results is incompatible with the goal of the Paris Agreement to keep global warming 1.5 degrees.